When our client Pramod Produtturi from Masala Wok decided to open a strictly Indian food concept, we were excited for the opportunity to brand the new place. The restaurant would basically be the Chipotle of Indian food, so yeah our mouths were watering. Especially at the opportunity to work on restaurant website design. The concept would be under the ownership of both Pramod, and his new partner, Rez. We worked with the pair to determine what needed to be done when and how, and we set out a plan to ensure that the restaurant would be open on time. 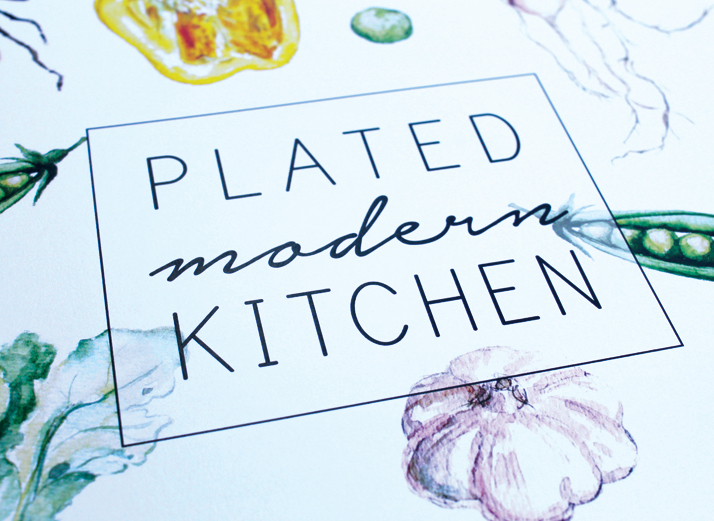 Coming up with a restaurant name is an exciting part of the process for budding restaurateurs. However, there’s an art to the naming process and it’s imperative to pick a moniker that is both unique and easy to remember. It should stand out in the minds of customers, but also have a feeling of familiarity. 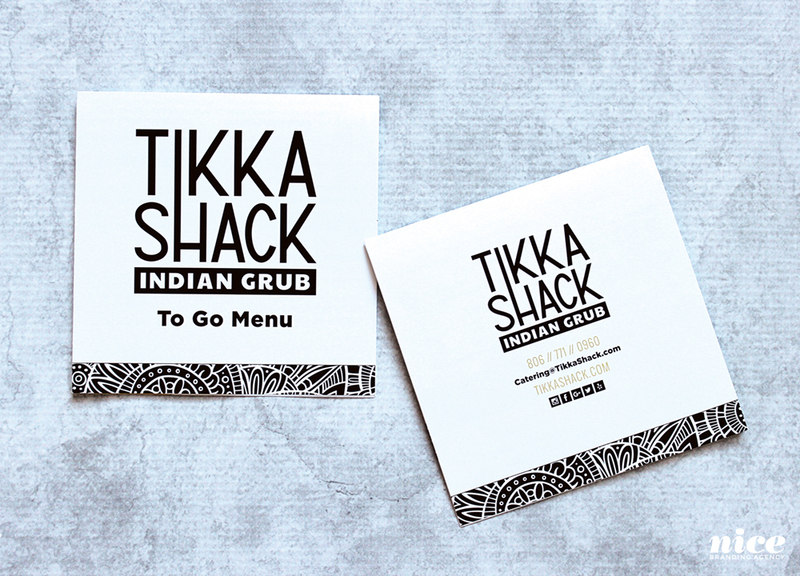 With Tikka Shack, we created a name that nodded to what everyone knows to be Indian food – Tikka, but incorporated another descriptive word that indicates the casual, friendly nature of the restaurant – Shack. Paired together, the name flows off the tongue and works well in application. Tikka Shack’s food was already amazing. We just showcased it in such a way that it would appear appealing in photos and really extend the look and feel of the brand throughout the restaurant website design, menu, advertising, social media, and more. When you open a restaurant, the food photos can and will be literally everywhere. We brought in props and backgrounds and professionally staged each dish before shooting the photos. 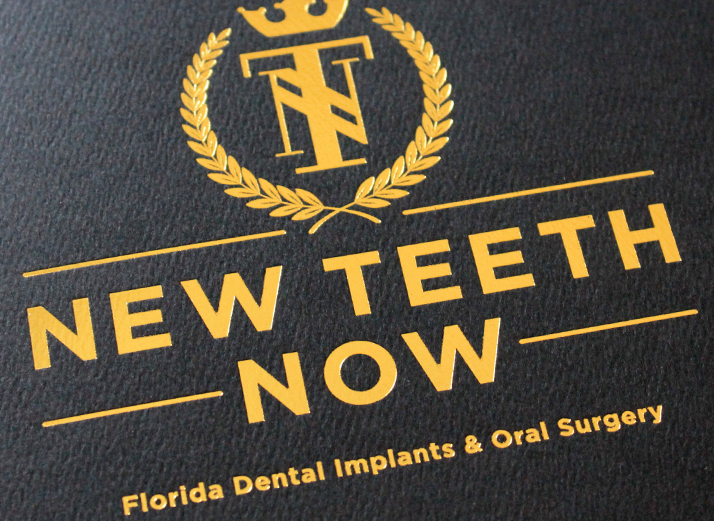 We edited each photo and selected a slew of options to be used online and in marketing collateral. If you take a peek at the Tikka Shack website, you’ll see what a big difference professionally shot photos can make. In case you’re still not convinced, check out our blog post here to see why food photos matter. 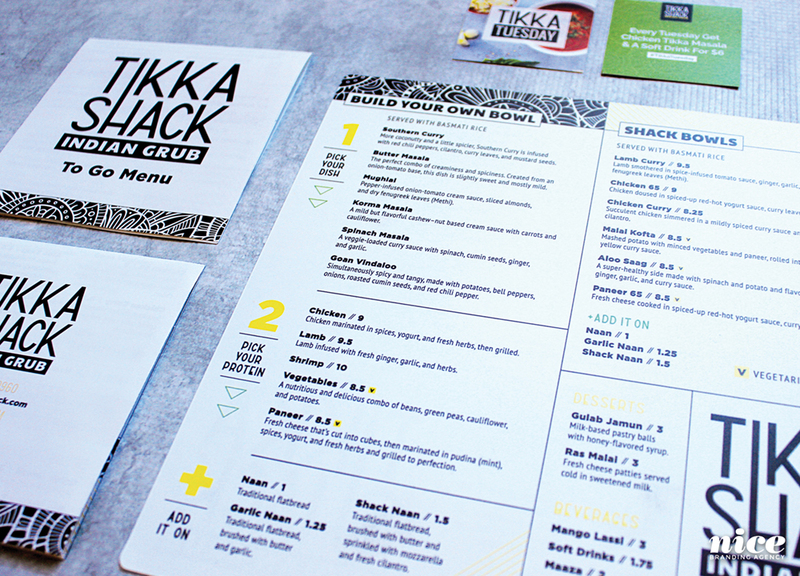 The Tikka Shack restaurant website design was custom-built on a WordPress platform and linked seamlessly to Square for easy online ordering. 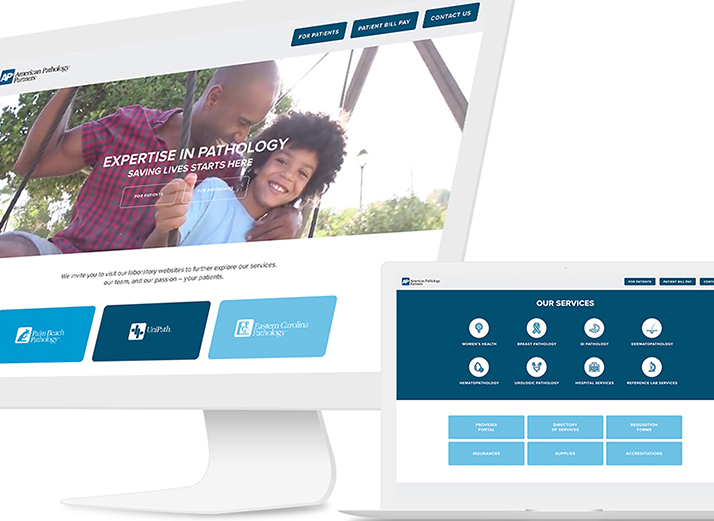 This website is a great example of a one page scrolling site that makes it easy for customers to navigate and simple for our client to update. 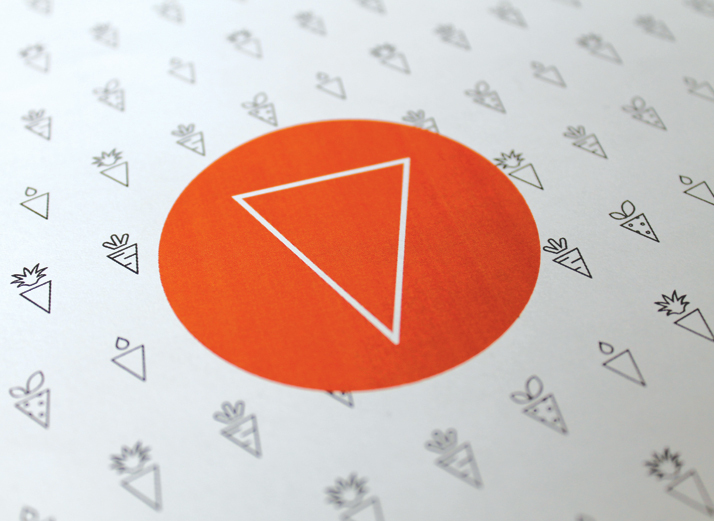 Once we had the brand in place, it was time for us to deploy it across customer touchpoints within the restaurant. Well-branded restaurant materials are what create the unique experience that has diners dying to come back. 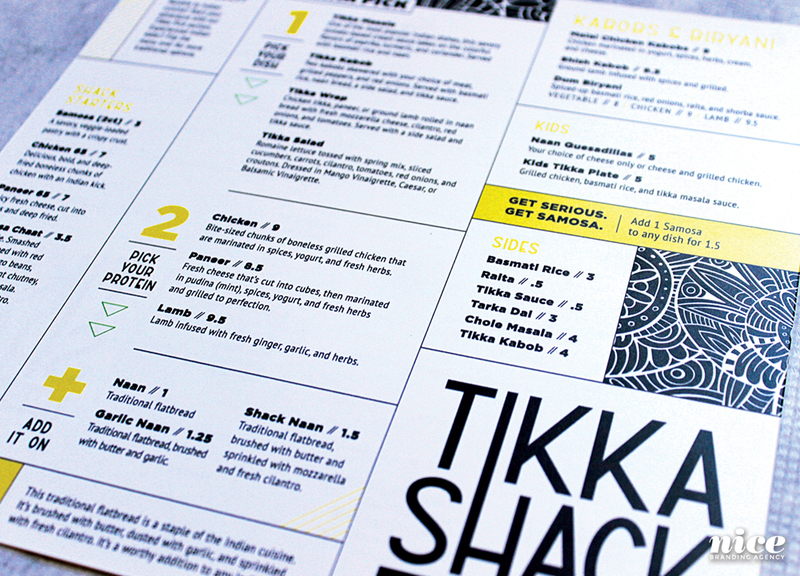 For Tikka Shack, we created menus, togo menus, digital menu boards, table toppers, and business cards. 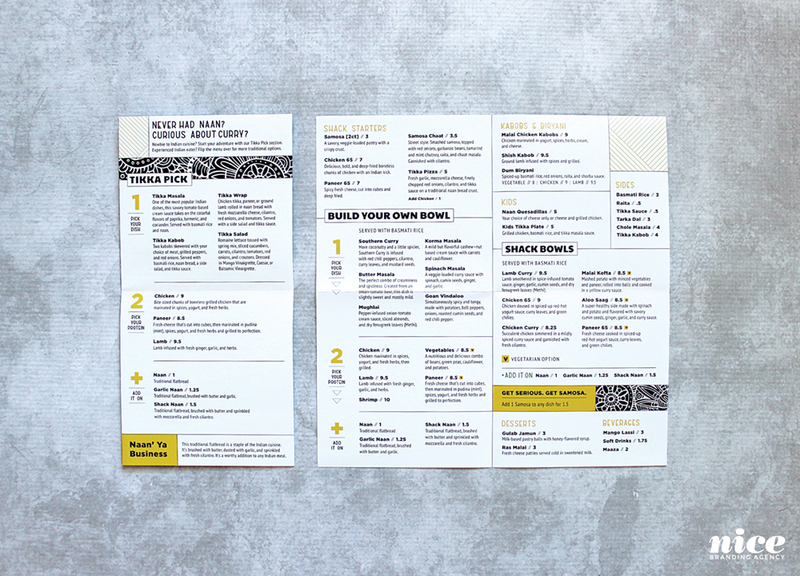 The menus were designed to be easy to navigate and to uncomplicate the potentially complicated ordering process. 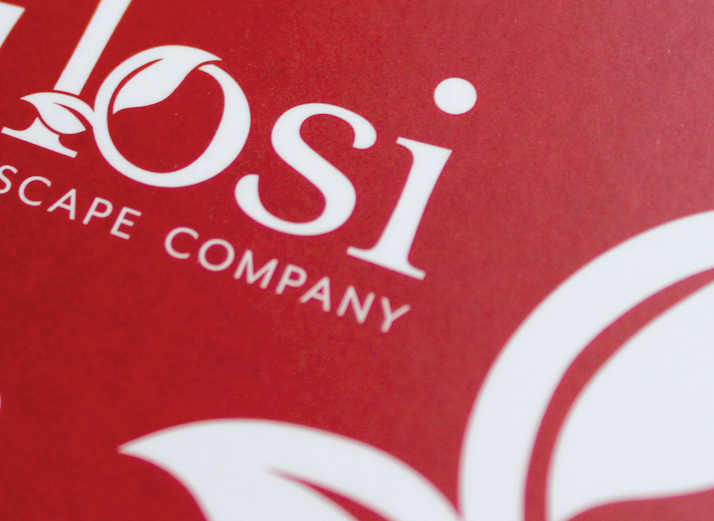 The design elements of the brand were woven through the menus in order to extend the branded experience. We really had fun creating the apparel for Tikka Shack. Restaurant staff attire is an often overlooked, but super simple way to reach customers with your brand. Since Indian food was relatively new to Lubbock, we created staff shirts that broke down the dishes into easy to understand, quick definitions. These helped guests decide what to order and brought an interesting aspect to an otherwise boring tee. 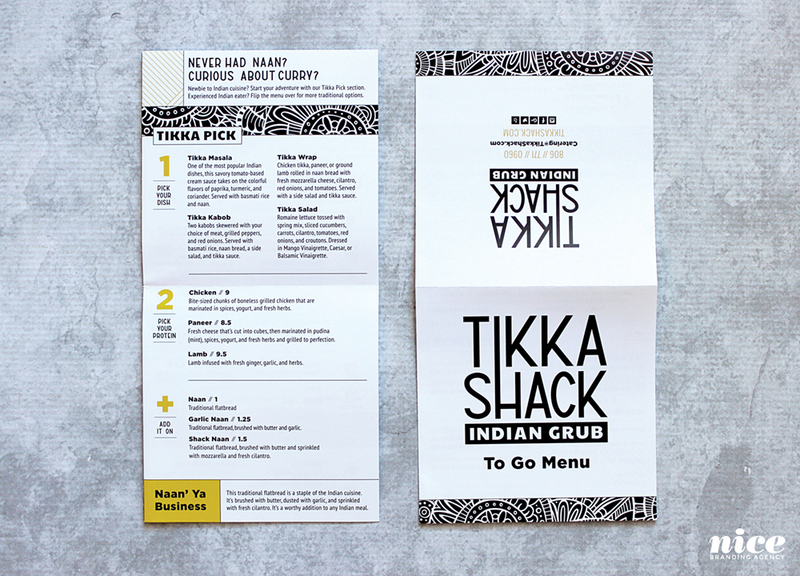 In order to get this place off the ground, we worked with Tikka Shack to create a comprehensive launch marketing plan that included the use of every advertising and marketing outlet that we deemed would reach their target demographic. 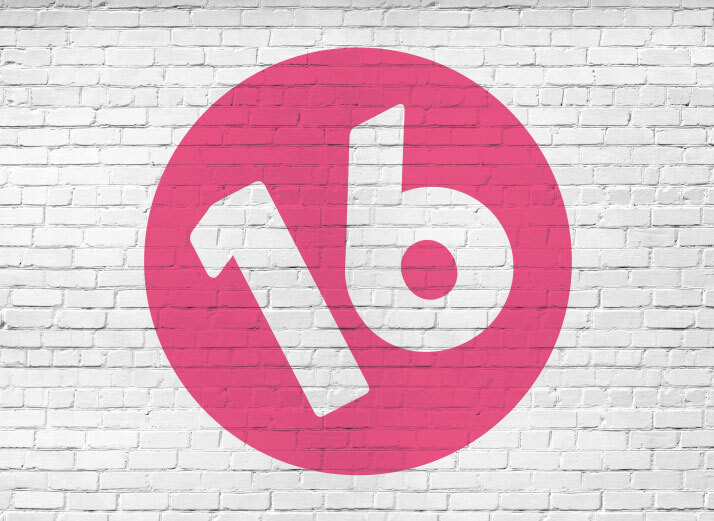 The marketing plan was thoughtfully created and tweaked to work within our client’s budget, and then meticulously and relentlessly executed to maximize the reach of the brand. Ultimately, our goal was for everyone in Lubbock, Texas to want to try the tikka. And it worked! We were able to use Press Releases, Online Advertising, Email Marketing, Social Media Marketing, Social Ads, Review Management, and more to drive traffic to the store. In fact, Tikka Shack had so much business that they had to bring in an extra tractor trailer full of food to satisfy the demand. 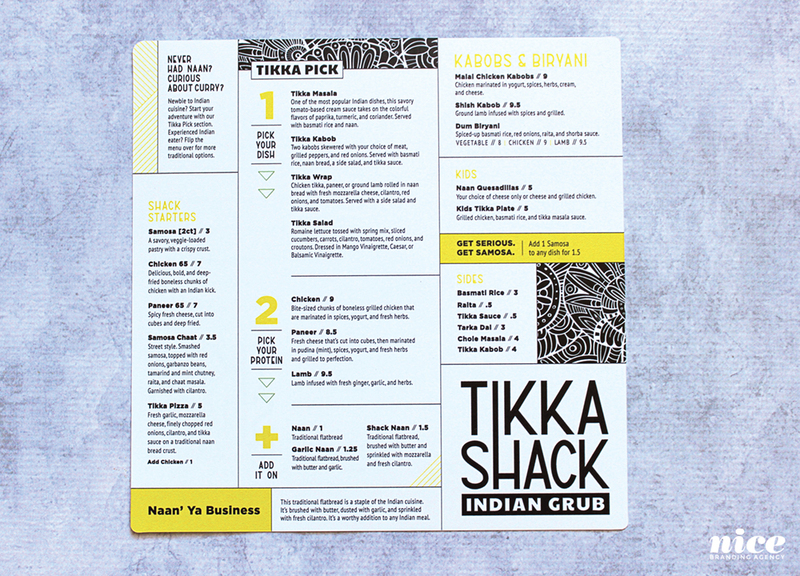 We continued to market Tikka Shack until they had their feet on the ground, and they now operate a successful restaurant with minimal marketing effort required.